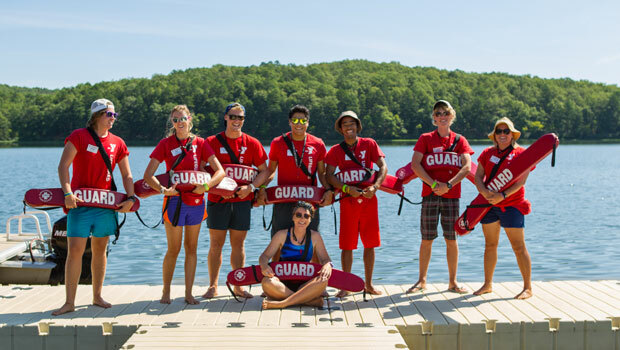 Stay healthy and get the care you need while at camp! Watch this video and learn how Exchange Visitors prepare for their arrival in the U.S., how the U.S. healthcare system works, and how students should seek medical care if they become sick or injured. You can also visit the Envisage Global Insurance Student Zone page for more information. You are covered under the Standard Plan for the dates listed on your placement offer and DS-2019. To upgrade or extend your insurance, please contact us at campusa@interexchange.org for cost and payment details. Bring any medications you are currently taking with you, as the cost for prescription medication can be very expensive in the U.S. Call your airline to ask how much of the medication you can bring. You may need to bring a letter from your doctor to verify your prescription. If you are injured at work, all claims should be referred to your employer's workers' compensation policy. For more information, please read this overview on workers' compensation insurance policies. Your health insurance plan does not cover you if you go on vacation back to your home country and get sick. The insurance plan does cover you if you get sick while on vacation in all other countries. Go to a doctor on the preferred provider network. Give the doctor your insurance card and policy number. Ask if the doctor will or will not send the itemized treatment bill directly to the insurance company. Fill in a claim form. Make a copy of the claim form. Mail the completed form, signed and dated, to the address at the top of the claim form page along with the itemized treatment bill if your medical provider did not submit the bill themselves. If they did, just send in the claim form. Although your insurance plan will pay most of your medical bill, they do require you, as the patient, to pay a small portion. This portion is called a co-pay. Under your insurance plan you will have a co-pay for every doctor’s office visit, a hospital stay, or other form of care. For every visit, you will pay the co-pay and the insurance will pay the remaining qualified expenses. If you visit an out-of-network doctor, you can expect a larger co-pay for each doctor’s office visit. This is the amount you must pay out of your own pocket towards medical expenses before the insurance company is obligated to pay - outside of the USA, this is also known as excess. Under your insurance policy you have a deductible for visiting the emergency room (unless you are admitted overnight, at which point the fee is waived). This means if the emergency room bill is less than your deductible, you will have to pay the entire bill; if it is more than your deductible, then you will only pay the deductible and the insurance company will pay the remaining amount of qualified expenses. When I telephone the doctor to make an appointment and they request the name of my insurance, what do I tell them? The plan utilizes the UnitedHealthcare Network, so when calling or talking with providers, please mention this name or show the provider a copy of your insurance ID card with the UnitedHealthcare logo on it for network recognition. Alternatively, or if any issues arise, please call Seven Corners immediately for assistance. Can I go to any doctor? Yes, you are free to visit any provider you wish. The benefit of staying within the preferred provider network however is that bills and invoices may be settled directly without any payment (apart from your deductibles) on your part. What does my insurance not cover? Common exclusions on your insurance plan include dental (teeth), vision (eyes), pre-existing conditions, birth control pills, long-term treatment, and regular exams/check-ups. However, please visit the Student Zone for a copy of your insurance brochure that will contain a full listing of the plan exclusions. What should I do if I am feeling suicidal? We generally recommend that you visit a doctor’s office or urgent care clinic for treatment. You will likely have to a shorter wait time, and urgent care clinics tend to be much less expensive than hospital emergency rooms. Generally, you should ONLY visit a hospital emergency room if you are experiencing a serious injury or a life-threatening illness. Am I or are my dependents subject to any requirements in the Affordable Care Act? Most likely you and your dependents are not subject to ACA requirements. For more information, please read this blog post. What if I lose my insurance confirmation card? Please visit the Student Zone to access an electronic copy of your insurance card. You may also reach out to the Seven Corners Contact Us page to request that a new card be emailed to you. What do I need to take with me when I go the doctor’s office? Who/where do I get my individual insurance policy number from? Your insurance ID card contains both your Group ID (this is the same for all participants under the plan) and your certificate ID, which is unique to you and is your individual insurance policy number. It is a form/application you must fill in after going to the doctor in order for the insurance company to pay your medical bill. You can download your claim form here. Who has to file a claim form? All participants who go to the doctor must file a claim form. When should I file the claim form? As soon as possible after going to the doctor’s office. If you wait too long to file a claim, you may not be able to be reimbursed for your medical expenses. What does the insurance company need from me in order to process the refund? A signed and dated claim form and either the physician’s bill or a fully itemized statement of charges (a complete list of everything the doctor’s office has charged you) with the diagnosis written on the attending physician’s (that is, the doctor whom you saw) letterhead. If my medical provider sent the bill directly to the insurance claims department, do I still have to fill out a claim form? Yes. As long as the medical provider sent in the bill, you only have to send in your claim form. The exact bill and claim form do not have to be mailed in together; however, sending both together may help to expedite payment of your bill. How do I find out the status of a claim? The best course of action is to log into your Student Zone, or call/email Seven Corners. I received an unpaid bill from the doctor’s office I visited. What should I do? First, call the doctor’s office to ask if they have submitted the bill to Seven Corners. If they did not receive your correct insurance information, you may give them Seven Corners’ details so that your claim can be processed. If the bill was submitted to Seven Corners but has not yet been processed, please log into your Student Zone or contact Seven Corners in order to find out why it had not yet been paid. I am unhappy with the results of my insurance claim. What steps can I take?